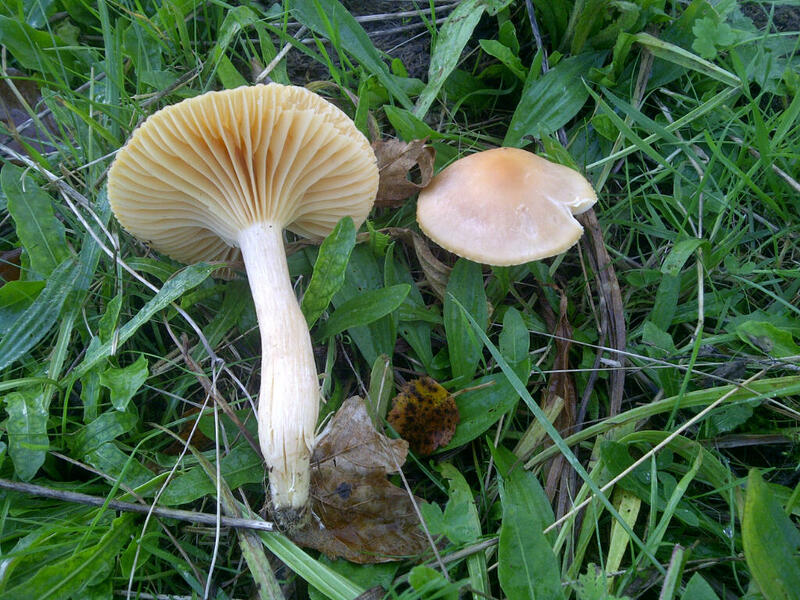 This family of mushroom have a beautiful array of colours and are often waxy or greasy in texture. In the main they are restricted to low nutrient grasslands that have not been ploughed or fertilised. This kind of habitat is increasingly rare in the UK countryside, but is exactly what we have here at the Trust. Just as this leads to a large diversity of meadow flowers in the summer, we are treated to a different but equally beautiful display of fungi in the autumn. 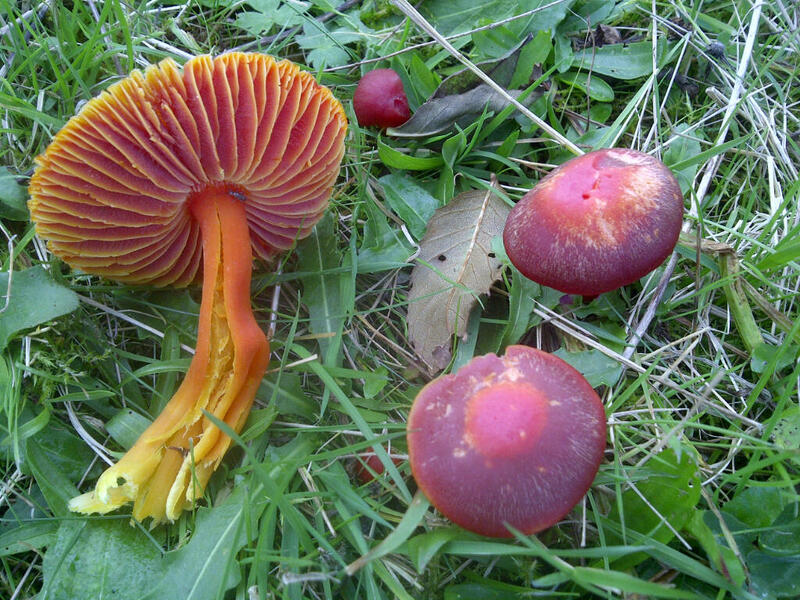 The other classic site to find waxcap and associated fungi are churchyards and burial grounds. These have usually escaped the disturbance of the surrounding farmland and can be a haven for many threatened species. We are extraordinarily lucky to have Penboyr churchyard (os ref: SN 360363) on our doorstep, which is becoming recognised as perhaps one of the best sites to see these fungi in Carmarthenshire, if not the whole of Wales. It is a truly amazing site and a visit is highly recommended. A particular highlight is the Violet Coral fungusClavaria zollingeri – a very rare mushroom which is on the Red Data list. 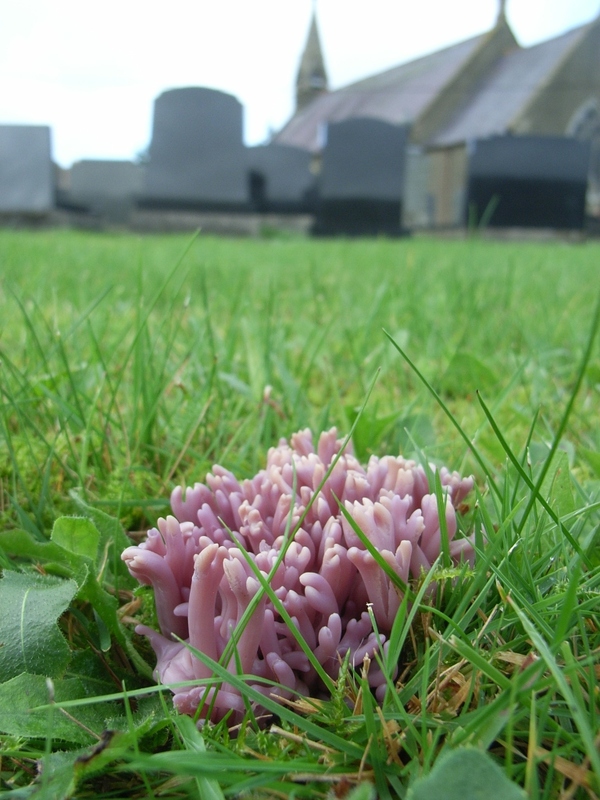 Below is a picture taken on a recent fungal walk in the churchyard, led by Bruce Langridge of the National Botanical Gardens of Wales. 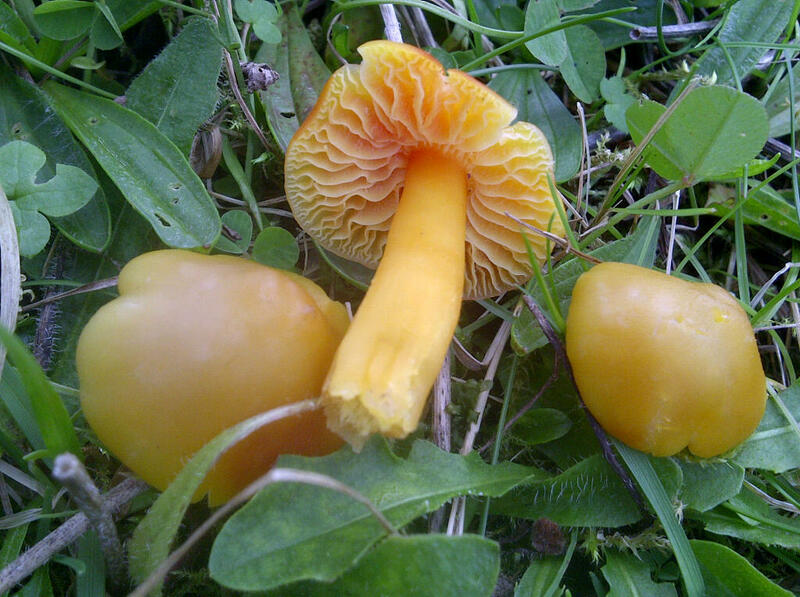 This entry was posted in Ecology and tagged fungi, grassland, mushroom, waxcap. Bookmark the permalink.